Violinist, fiddler and composer Mark O'Connor isn't just a crossover artist – he's a bridge. And I imagine him to be a bridge with a sign on it: "Jam session in five minutes, come on over!" A violinist who studied with American fiddler Benny Thomasson as well as with French jazz violinist Stephane Grappelli, O'Connor appears to have played with nearly every major fiddler player on the planet, not to mention a good many classical stars like Pinchas Zukerman, Yo-Yo Ma, and Nadja Salerno-Sonnenberg. Add to this his collaborations with James Taylor, Renee Fleming, Wynton Marsalis... and we're easily ready to play a game of Six Degrees of Mark O'Connor. The man has an open mind, and also a full and creative one, which spins out new projects, compositions and collaborations at a pace I'd compare to the speed of his bariolage. Take for example, his collaboration with violinist Nadja Salerno-Sonnenberg. He came backstage at intermission during her performance with the Chicago Symphony and asked her, on the spot, if she'd like to perform a double concerto with him. "I had the part within the month," Salerno-Sonnenberg writes in the cover notes for their 2003 recording of the work with the Colorado Symphony. "At this point I found myself extremely impressed with this man and his ability to turn an idea into reality." Last month found him at UCLA, where he was performing a recital and giving lectures and masterclasses as part of a year-long residency there. He also arranged for the first Mark O'Connor String Institute at UCLA, to take place the first week of July, replacing the San Diego String Conference, which he has discontinued. I had arranged to interview him, but first, I wanted to see him perform. O'Connor, 47, took the stage alone, a tall man wearing a simple black shirt and grey tie, with two fiddles waiting for him – one tuned scordatura. I had never heard O'Connor play, and I took along my eight-year-old son, Brian, who wrote seven pages of notes, including the observation, "I like how he chooses how his notes fit together." Indeed, O'Connor played all original compositions, all for solo violin, a program that he apparently also played last week at the Curtis Institute of Music. By the way, sheet music for some 60 of his compositions is available for download at his website, MarkOConnor.com. Among the works he played were his six Caprices, inspired by the wickedly complex Caprices by Paganini, and also by the Sonatas and Partitas by Bach. The first Caprice was full of obscenely fast passagework and had a funny little ending that brought to mind Scherzo-Tarentelle (letter C, if you have your score). I found this to be the case in a lot of his music; I'd be settling into a fiddle vibe, when out of the organic soup came a little Bach, or a Middle Eastern-sounding slide. The Caprices were sometimes so fast as to be static: there was so much happening, so fast, I found myself sitting back and waiting for what emerged, as in those optical illusions that require you to relax your focus until another image surfaces. I noticed that O'Connor has mastered a certain economy of motion, that his lightning fast string-crossings were seemingly effortless, and he was able to punch out the fiddle accents from a blur of extremely fast notes. I later asked him if he had a secret recipe for a nimble bow hand. "One of the characteristics of my music is that I really use the bow to create rhythmic phrasing," O'Connor said. "So the bow action has to be very crisp. If it's at all muddy, then the rhythmic syncopation does not speak, and you lose the momentum of your passagework. Years ago, I strengthened my wrist muscles so I could rely more on the flexibility, and therefore strength, of the wrist, so I wouldn't have to move my forearm quite as much and I could limit excessive motion." "I had an exercise I invented myself, where I would hold the wrist with my left hand and then practice toggling and string crossing," O'Connor said. "I would reduce the arm movement specifically. What happened was I was able to string-cross without losing any actual real time. " Let's take an example: a passage with an accent on the first note. "That right there would pose a fit for a lot of players. To play the first note twice as loud as the second note would require a change of technique for them. I've reduced that equation by not having to change the physicality of my arm at all, just allowing the wrist to pick up the volume. So I can control the volume in my small muscles, rather than my big ones." "I saw one violinist play one of my pieces in a program, and every time they did the accent, they'd literally have to set up for it," O'Connor said. "You could see their whole body, their whole physical nature changed. There was this huge space, the preparation, the accent – and by the time they did that, the phrase was gone. So there's a real necessity to try and employ those small groups of muscles and put them in action, because those are the ones that can respond quickly. You can use them for at least some of your power and volume. " 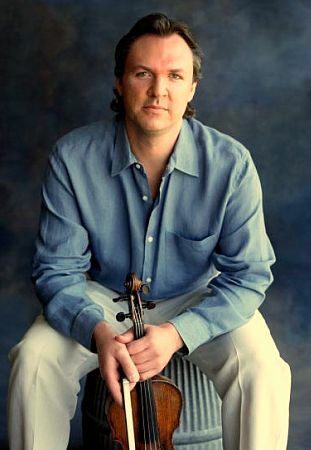 During his recital, O'Connor also played a version of his seminal composition, Appalachia Waltz, first released by Sony in 1996 as a trio with Yo-Yo Ma and Edgar Meyer. He explained that he had composed the piece in 1993, when "a window of optimism washed over me one day in my studio." I asked him if that was always how his creative process worked, in unexpected bursts of inspiration. His answer: yes, and no. "I say I wrote Appalachia Waltz in 20 minutes," O'Connor said, "but I also did play music for 35-40 years to get to the point to do that. So... it's a lot of preparation." "I have a tremendous schedule, and I have writing schedules and I do plan. But I always do leave myself open for spontaneity and the moment," O'Connor said. "I think one of the most important things about being creative is to make sure that you are in a position to receive some new information, to notice it, and then act upon it." "Appalachia Waltz" also is the focal point for O'Connor's first symphony, the Americana Symphony (you can download the score for free). A recording by the Baltimore Symphony will be released in March. "Bernstein said that many composers spend their lives trying to write the same piece," O'Connor said during one of his UCLA lectures. "I resonate with this." Instead of having the standard movements in his symphony, O'Connor has structured it around the "American journey": the expansion of the country from east to west, and the journeys of those who settled here. "We were settled by a lot of brave people that were willing to take chances. It's in our DNA: this country only attracted those people who were truly wild-spirited," O'Connor said. "Appalachia Waltz works for this because it has a little bit of a nostalgic feel to it. It's a melody that suggests a new place, but it still remembers home, which I think is a key component to Americana. The country is so big that we have to remember home, because it's too far to visit often. That's part of our life, and we carry that in our music making." The symphony starts with a brass fanfare, a burst of idealism, in a movement called "Wide Open Spaces," introducing the idea of the vastness of America, its prairies and mountains. In America's promise, "there's always some kind of a glimmer of an ideal," O'Connor said. "That's part of the engine that makes American music so potent. It's a living, breathing thing. It's not necessarily something that always looks back, and it doesn't necessarily even exist to tell our story. It inspires us to do something new." Next comes a mingling of cultures, a dance. He composed this movement, "New World Fanciful Dance," with an image from childhood in mind, from a fiddler's convention in the south: "It was one of those beautiful, picturesque 'hollers' – a valley. People were spread out all over the valley, and they were fiddling, and then dancing. People would buck-dance, and clog – right in the grass. The image was so strong, that I think about it today. Everybody dances slightly differently – they're all sort of dancing with their feet, but they've got a little different step. They're all part of it." Next comes a fugue, "Different Paths Towards Home," to invoke a variety of paths along the American journey. "I use this centuries-old European writing technique (the fugue), but it sounds so American, with this theme and the way I approach it," O'Connor said. "I had this imagery of all the people standing at the edge of the Smokies – the Appalachian Mountains and the Alleghenies -- looking westward. Everybody's wanting to find a home, a new home, and they took different paths to find one: the southern route, across the plains, the upper Midwest -- they're all on this journey west." An "Open Plains Hoedown" follows, "this really kicks up some dust," O'Connor said. "You can imagine those wagon trains just hauling across the prairie, and the whole orchestra's just driving it." "And then we come to the Rockies, which is one of the most majestic parts of the symphony. 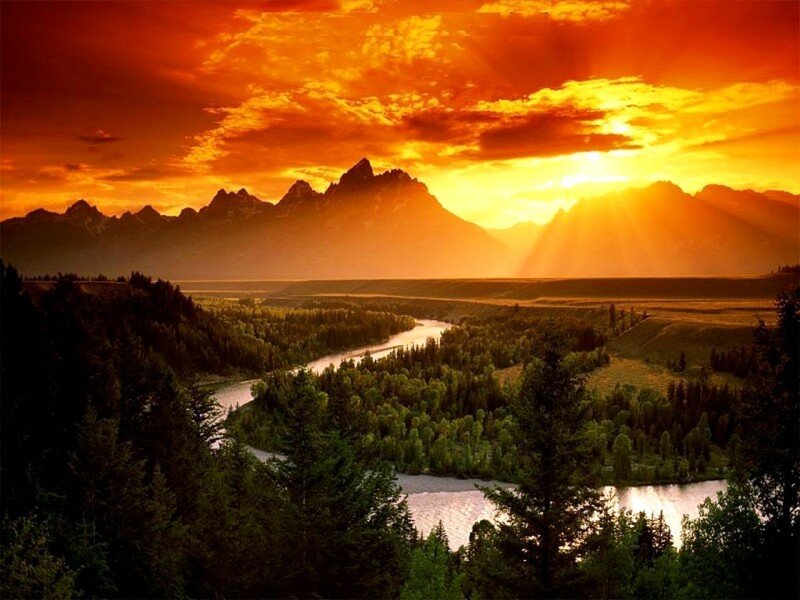 This whole movement ('Soaring Eagle, Setting Sun') is a canon," O'Connor said. The movement builds a long crescendo, to invoke going up the slopes of the Rockies. "It ends with everybody playing repeated notes -- which represent that you finally made it to the very top and you can actually see the setting sun." The last movement, "Splendid Horizons," is the destination: the Pacific. "We're there. This is the introduction of the theme," O'Connor said. "The listener will hear the Appalachia Waltz played in its entirety for the first time." I asked Mark if it was a challenge to get us square classical musicians to play in his fiddle style when recording pieces such as his new symphony. After all, he has written six full-length concertos for violin and orchestra, and he's been recording and performing these works with professional orchestras for some 20 years. "The description of square is not appropriate, because it's just a matter of experience," O'Connor said. "If they had not played this phrase before, there is nothing like it in the violin literature that they have read, then what do you expect? It's just a matter of exposing people to this kind of music, and forcing people to think inwards again about what they could do to make this music really speak for them. " "Orchestral music is something that's been passed down through pedagogy and conservatory training... years and years of learning how to play Beethoven's orchestral music," O'Connor said. "When 80 people get together, they can really, really refine their performance because they've got it 80 percent there before the rehearsal starts. With my music, and any new music, we aren't starting at 80 percent, we're starting way below that. A lot of the musicians don't even know what to expect, and a lot of them don't even practice it before the first rehearsal because they don't know how to practice it." "When I first started playing my Fiddle Concerto, 18 years ago, the first rehearsal was like cacophony, and I wondered, is this going to be possible? Because everybody was not together," O'Connor said. "The difference between then and now is like night and day. There's more knowledge of the style. They've heard me many times since then, and they know more what to expect – maybe they've even tried some of this stuff. We're already further down the road, we don't have to start from zero every time." "When the Baltimore Symphony played (Americana Symphony), it sounded every bit as good as it was, dancing in my head.," O'Connor said. "And that's hard to do with an orchestra,"
To that end, O'Connor is working on a project that would introduce violinists to his American style at a very young age; he is creating a set of method books, with the help of strings pedagogue Bob Phillips. The books, to be called "The O'Connor Violin Method ," include pieces composed and arranged by O'Connor, and the first two books be available in March by Alfred Publishing. Styles will include: American classical, American folk songs, Hymns, Mariachi, Latino, Canadian, Blues and Rock and Roll, to name a few. "We're mirroring the Suzuki development, and we're taking some of what we feel are the best things from that method, which there are a lot, and we're (changing) things we feel were not as good," O'Connor said. "The whole idea of this method is to use the American music language. This prepares the violinist for all kinds of possible future music-making." For example, to introduce a low second finger, O'Connor's method uses the tune Old Joe Clark. "These are tunes that are familiar and ingrained in American traditions," O'Connor said. "One of the characteristics of my method is that there are no throwaways. There's a lot of music in beginning manuals that these kids – or future adults – will never ever play. But people play 'Old Joe Clark' when they're 90. It's a great song. So I'm picking out repertoire like I play in my concerts. This is something you can play in the beginning, and it can live the rest of your life with you, if you choose. It's nice for people to be able to dip back into their childhood and go 'you know, I remember learning that when I was just a kid.' That's important to us. Our experiences as children are very important to us and they should be part of our lifelong music environment." One piece, "Stepp Down Hoedown," is actually the hoedown found in Copland's Rodeo. "One of the greatest pieces in American classical literature was co-written by a fiddler in Kentucky," O'Connor said. "I want to make sure people know about William Stepp, because he wrote this hoedown." He's included a simple version of "Appalachia Waltz," "Simple Gifts," a "Boogie-Woogie" etude, and songs he wrote like "Beautiful Skies," "Climbing the Mountain," and "Fiddle Boy," which is, he says, autobiographical – about the odd duckling who never quite fit in with the orchestra. Let me guess how this one ends: Fiddle Boy finds his own style...and the orchestra changes to fit him! He actualy played at UW! He's an inspiration for someone such as myself, I grew up in a family in which appalatian/Celtic/hillbilly music is a tap root in my family tree and tradition. What a great interview! Thanks Laurie. What I find especially wonderful about what O'Connor is doing is that the music seems to be growing organically out of American traditions. It's real local music attached to its roots. I smiled when I read that he was using "Old Joe Clark" to teach kids low 2nd finger. That's been one of my daughter's favorites since she learned it this summer. She really took to fiddling tunes more than to the early Suzuki books. I feel like his approach to teaching will reach more kids meaningfully than are being reached now with the methods currently in use. What a wonderful interview with a modern musical genius. Thank you so much. Mark O'Connor takes his place in the great line of violinist/composers. Corelli, Tartini, Viotti, DeBeriot, Paganini, Wieniawski, Sarasate, Ysaye, Kreisler - to name but a few. For a long time it looked like the line ended with Kreisler. Now Mark carries on the tradition. Bravo, Mark! and Thanks, Laurie for the terrific interview. Karen, I agree! Having a set graded American repertoire books will be wonderful, I think students will respond with much enthusiasm...and practicing! I find it wonderful to see what is possible to do with a violin. When I hear some wonderful fiddling or jazz, I feel like if it is almost a different instryment and, yet it is the same violin as always! It is such another world of technical knowledge and I admire those who really want to explore some new possibilities and styles! When the music is good, I don't care what genre it is, it's totally amazing! Thank you, Laurie, for that wonderful interview. I'm especially interested in Mark O'Connor's instruction books (work in progress), just as Karen was. Most of my beginner students, including adults, want to learn some genre other than or in addition to classical music. So far, I've taught Suzuki along with The American Fiddle Method. The author teaches new techniques clearly with fun songs. It would be exciting to have a whole series of books by Mark O'Connor. It sounds like he will give students a smorgasbord of many kinds of violin/fiddle music. What a great educational opportunity! It may also be useful for adults who have played only classical music on the violin. It will show them some different aspects of their instrument. I've known folk musicians who play several different instruments, and I respect them. I have never really wanted to learn another instrument because of all the possibilities of the violin/fiddle. I just wanted to say thanks to Laurie and Mark for this insightful interview. It brought back a rush of memories and my childhood. My father moved our family to Nashville when I was one year old and I spent 17 years growing up in the foothills of Tennessee. My father bought land in Hermitage Hills, the hills that overlook the Hermitage the home of Andrew Jackson, the 7th president. I got to play at the Grand Ole Opry when I was 14, thanks to my great teacher Chris Teal at Blair.Mark O'Connor is really my inspiration and ideal and I agree with Laurie and others about the need for instruction materials and being able to teach music using the American traditions as a foundation. Thank you very much for the wonderful interview with this wonderful musician! What a treat!